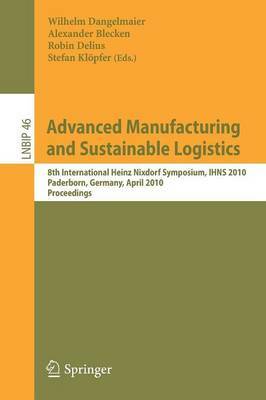 This book constitutes the proceedings of the 8th International Heinz Nixdorf Symposium, IHNS 2010, held in Paderborn, Germany, April 21-22, 2010, under the title "Changing Paradigms: Advanced Manufacturing and Sustainable Logistics". The 27 full and two short papers presented in this book were carefully reviewed and selected from a total of 63 submissions. They are grouped in five parts on Supply Chain Management, Production Logistics and Industrial Engineering, Operations Research Techniques, Humanitarian Logistics, and Simulation. The presentation is completed by nine invited keynote papers from renowned international experts in these fields.